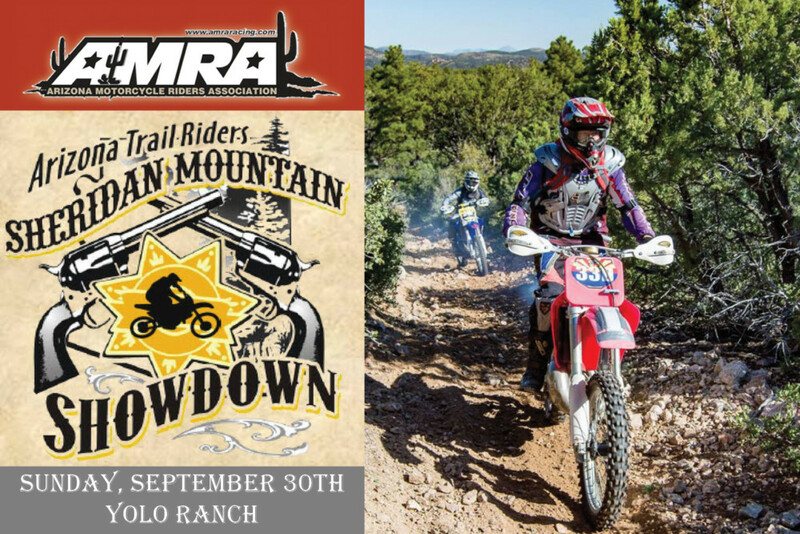 Phoenix – September 17, 2018 — The Sheridan Mountain Sprint Enduro, round one of the Arizona Motorcycle Riders Association (AMRA) race series, will take place on Sunday, September 30 at Yolo Ranch in Prescott, AZ. The event is part of a 14-race series sanctioned by the American Motorcyclist Association (AMA). Enticing the fastest riders in the southwest region, the Sheridan Mountain Sprint Enduro will follow a qualifier – no timekeeping race format. All eligible classes will earn points towards a spot on the season podium, and bragging rights, of course. Do you have what it takes? ATR’s mission focus is to enjoy the sport of dirt biking. Be that single-track, jeep roads, racing, dual-sports, or anything of the like. Enjoying the great outdoors with family and friends while aboard a motorcycle. The club is a diverse group made up of riders of all ages, genders, and abilities. As a club, organized rides to Baja and Colorado are also offered for our members, along with several Camp-n-Ride events throughout the year. The Arizona Motorcycle Riders Association is a volunteer-run association made up of ten local off-road motorcycle clubs. AMRA’s intent is to work with the local clubs to promote off-road motorcycling in Arizona. Each year AMRA organizes Arizona’s Premier Off-Road Motorcycle Championship series which strives to provide high quality, fun and safe off-road racing for the whole family. In addition to racing, AMRA promotes non-competitive events and fundraisers to contribute to the health of our sport. For more information go to, www.amraracing.com.